SKF India today announced its solar mission with the inauguration of one of the largest rooftop solar installations among manufacturing companies in Pune, with 1 MW capacity. The launch of the project is a part of SKF India’s on going solar mission across all major facilities in the country. The installation in the Pune facility is expected to generate 1.5 GwH units per annum. This initiative is expected to reduce the Pune facility’s CO2 emissions by approximately 1200 metric tons per annum. SKF India targets CO2 emission reduction upto 4000 metric tons by 2017. 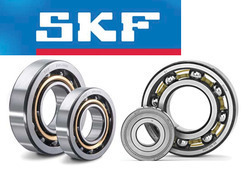 SKF is a leading global supplier of bearings, seals, mechatronics, lubrication systems, and services which include technical support, maintenance and reliability services, engineering consulting and training. SKF is represented in more than 130 countries and has around 15,000 distributor locations worldwide.Annual sales in 2014 were SEK 70 975 million and the number of employees was 48 593.